What are the community values of our Resident Member community? College membership is for life. From that first interdisciplinary discussion around the dinner table, you become part of a unique and vibrant network of forward-thinking scholars, artists, activists, and change-makers. Stay connected with us—near or far—and continue the conversation. Go To: Is Green College the right fit for you? 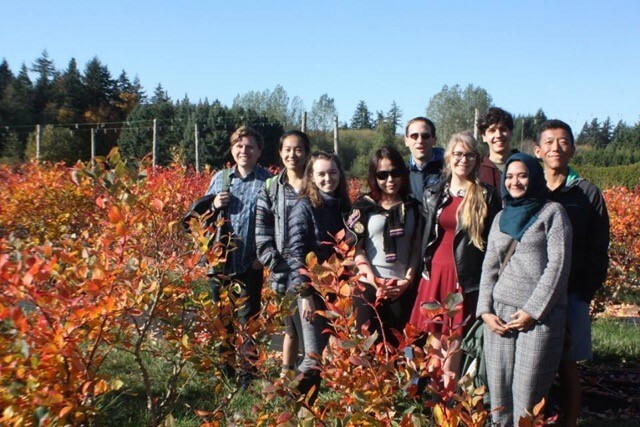 As a member of Green College, you are connected to a community of inspiring people and possibilities. The College community begins with Resident Members, who are College members for life. While at the College, they are encouraged to volunteer for various committees—from arts, sports, to student wellness and more. Communal living promotes a strong sense of community, inspiring residents to create, learn from each other, and expand their academic horizons. 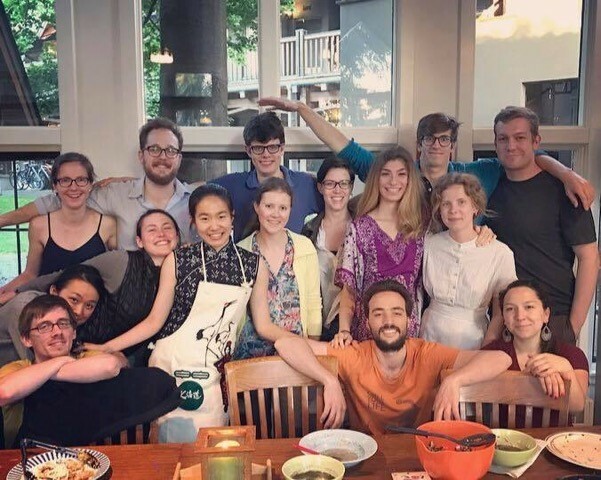 After residency, these Resident Members become Green College Society Members, joining a dynamic network of over 1,000 former residents and associated faculty across the globe. Society Members have many opportunities to return to the College, whether through a reunion or current social and academic events. Together, through conversations and community involvement, these three groups form the College environment—always changing, undeniably creative, and distinctly interdisciplinary. Is Green College the right fit for you? Resident Members, Great Hall, Founders' Dinner 2016. Resident Members enjoying dinner in the Common Kitchen. Photo shared by Silu Wang, Resident Member. Resident Members on a fall hiking trip. Photo shared by Silu Wang, Resident Member. For more info, check out our Fees page. In determining resident membership, the College also strives to achieve diversity in academic discipline, gender, and international representation.